Rotana has announced the signing of a new agreement to manage an “Arjaan Hotel Apartments by Rotana” property in Morocco. The 140-key development, the first from the company in the country, will be located within M Avenue; the new high-end shopping, entertainment and residential destination in Marrakech. Catering to business and leisure travellers, the property will feature modern facilities including three dining outlets, high-speed wireless internet access, an outdoor swimming pool, and a Bodylines Fitness & Wellness Club featuring a fully equipped gym, sauna, steam room and Jacuzzi. “We are very proud to have been selected to manage this superb property which will have great appeal to UK leisure and corporate travellers with Marrakech less than a four hour flight away. “Consistently named among the world’s top tourism destinations, entering Rotana into this new market seems only natural,” said Omer Kaddouri, president, Rotana. 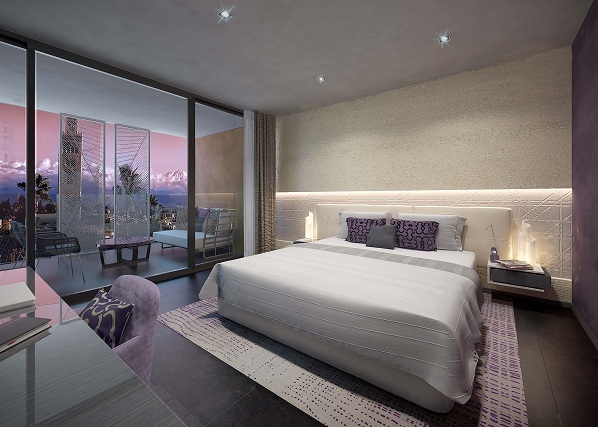 He added: “Our new Arjaan in Marrakech will offer everything guests need to be comfortable and productive, and will exude sophisticated elegance across all facets of the property. An exclusive destination situated in the heart of Marrakech, M Avenue is set to become a major attraction in Marrakech. Connecting the old city of the east with the Menara Gardens in the west, M Avenue will create a new and vibrant destination offering an innovative mix of cultural attractions, premium hotels and residences, retail outlets, restaurants, art galleries and exhibition venues, along a 500-metre-long promenade entitled “Garden Avenue”.